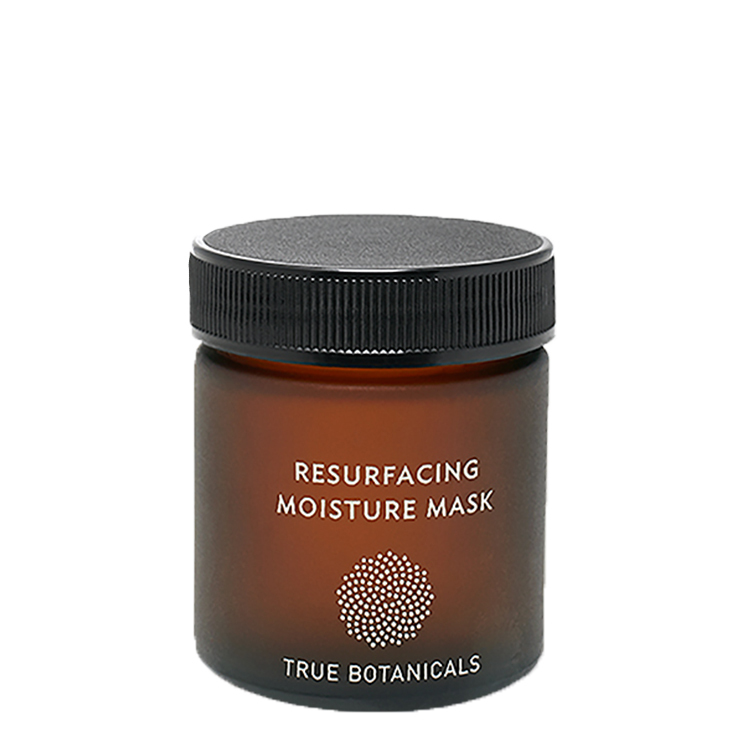 Instantly improve the appearance of a dry, lack luster complexion with True Botanicals Resurfacing Moisture Mask. Made with mango butter to moisturize and improve the appearance of loose skin, fine lines, and wrinkles, lactic acid is added to make skin look silky smooth, bright, and glowing. Avocado adds an extra boost of moisture and lends a super soft feel. Astaxanthin is an essential fatty acid which improves the look of skin texture and elasticity, while reducing the appearance of wrinkles and discoloration. Jasmine calms feelings of irritation and provides a rejuvenating effect. Use for a visibly radiant complexion. Massage mask onto clean, dry skin and leave on for 2-5 minutes. Gently rinse with warm water or soft washcloth. Follow up with your favorite facial oil for super soft feeling skin with a look of luminosity. Camellia Sinensis (Green & White Tea)* Leaf Extract, Glycerin (Vegetable Glycerin)*, Lactic Acid, Mangifera Indica (Mango) Seed Butter, Persea Gratissima (Avocado) Fruit Oil, Water, Hydrogenated Vegetable Oil, Phenethyl Alcohol**, Ethylhexylglycerin**, Xanthan Gum, Haematococcus Pluvialis (Astaxanthin From Red Pond Algae), Sodium Hydroxide, Citrus Aurantium Bergamia (Bergamot) Fruit Oil, Jasminum Sambac (Jasmine) Flower Extract, Cananga Odorata (Ylang Ylang) Flower Oil.